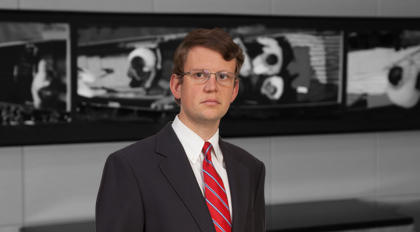 Wade Sample is a senior associate in the firm's Corporate Department and focuses his practice on mergers and acquisitions, corporate governance, capital markets transactions, U.S. securities laws, and general business matters. Sample has represented companies in public and private mergers and acquisitions, joint ventures and a variety of financing transactions. He regularly counsels clients on general corporate, operational and commercial contract needs, including drafting and negotiating large national and international equipment purchases and critical vendor agreements. He also advises boards of directors and senior management on corporate governance matters, such as fiduciary duties, anti-takeover strategies, and activist stockholder demands. Prior to attending law school, Sample worked as an investment banker at a major U.S. investment bank in New York. Represented members of the board of directors of a publicly-traded tobacco company in connection with the company’s $27.4 billion acquisition of a public-company competitor and related $4.7 billion equity investment by a shareholder. Represented a publicly traded energy company in connection with its $590 million “go private” transaction. Represented a Fortune 200 company in its $770 million strategic acquisition of a U.S. manufacturing facility. Represented a public utility client and an infrastructure private equity fund in the $600 million sale of a fiber optic cable business. Represented a publicly traded energy company in connection with a registered secondary offering of $95 million of its common stock by a selling stockholder, the concurrent repurchase of $40 million of its common stock from such stockholder and the subsequent 144 sale of such stockholder's remaining common stock. Represented a public utility client on the $1.2 billion acquisition of power generating assets. Represented a publicly traded Fortune 50 company as issuer in a public offering of $1.0 billion of two tranches of senior debt securities.